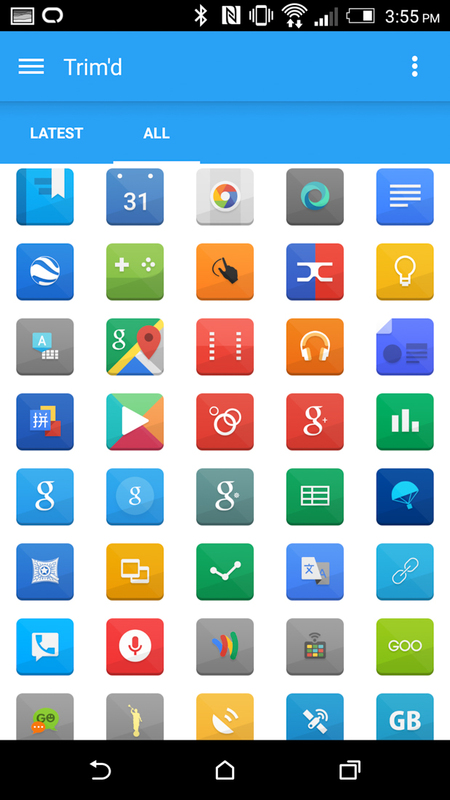 Another week, another icon pack that is hot enough to share. Called Trim’d, you are looking at a pack that ditches the long-shadow in favor of a glass-like overlay, with a Material-ish color palette, and a prismatic effect. The icons are square with semi-round corners, which is a shape we see often, yet something strikes me as being unique here. Trim’d is easily one of the more refreshing icon sets we have seen in a while. 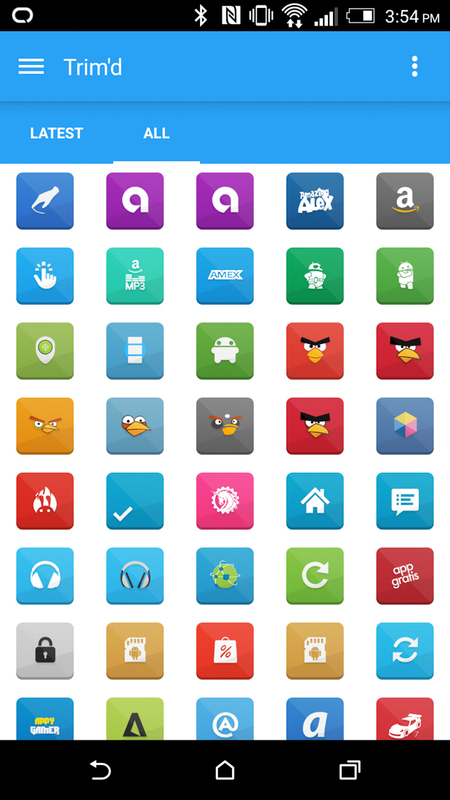 Overall, there are 700+ icons, with bi-weekly updates expected to provide more. At this time there aren’t any wallpapers included (a bit surprising in 2015), but you probably have wallpapers that you already love, right? If not, I’ve included the wallpaper from the image above at the bottom of this post. 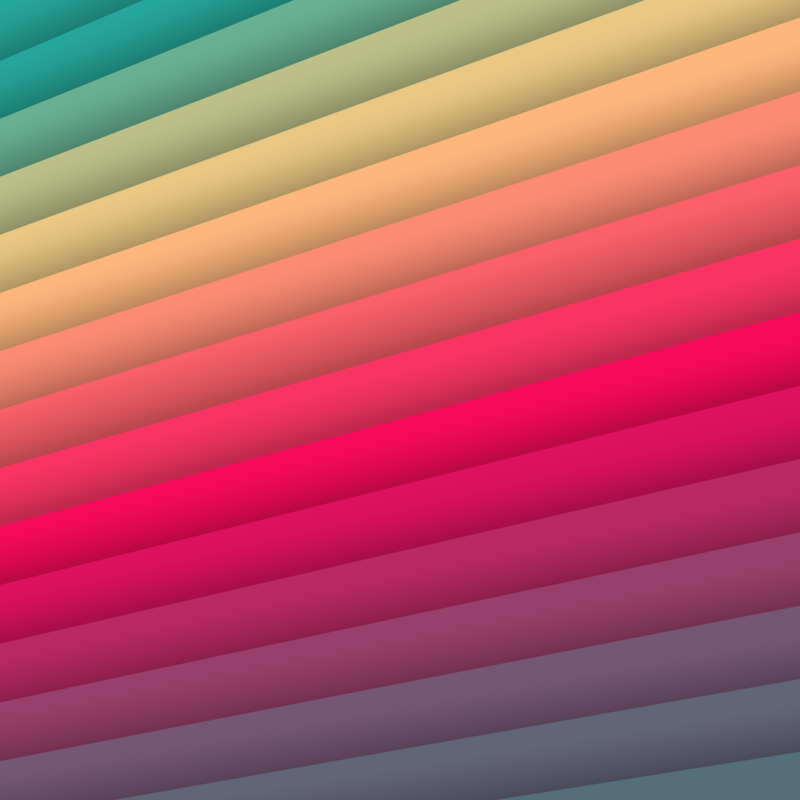 And if you do need a wallpaper, we highly recommend Minima Pro Live. 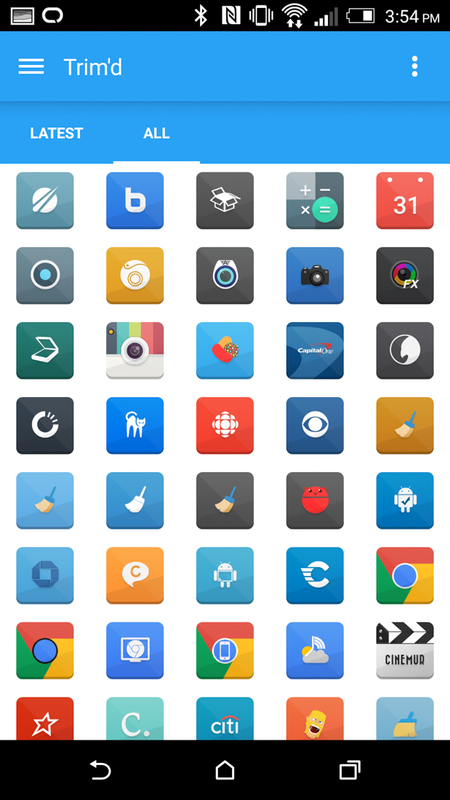 The icon pack certainly isn’t the most robust at 700+, but I haven’t had any issues finding icons for all of my favorite apps. There is a solid collection of Google apps, along with a number of popular 3rd party titles. Give it a look!